Auction House Addict: Warlords of Draenor - The Iron Tide Pre-Patch is Here At Last! Warlords of Draenor - The Iron Tide Pre-Patch is Here At Last! The time has finally arrived for the excitement and build up to the release of Warlords of Draenor, the pre-expansion patch a.k.a patch 6.0.2 and I have succumbed to the hype and re-subbed. Well, when I say re-subbed, I've bought a 30 day timecard so I can decide whether I even want to buy the expansion. Over the summer, I've spent a couple of months in Wildstar and more recently, a week or two in ArcheAge but although I've enjoyed them, neither has the initial addictiveness that World of Warcraft had for me way back in 2009 when I first started playing. To say 'I'm back!' is probably a bit premature as I'm still feeling a bit 'blah' about the whole genre but I have 30 days to give it a good go and who knows, maybe make a shedload of gold in the process! I took the time to read almost all of the patch notes for Patch 6.0.2 The Iron Tide - well, all except the huge number of changes to the classes - those I'll look at when I try & fail to play an alt with any degree of success! I've only logged three of my alts so far - my main, a human Paladin had over 1200 gold in the mail from the justice point conversion but I had to spend some of that straight away to change her face. My beautiful redhead looked horrible with the new model graphics so I found a face I liked and changed her hair too. I'm still not sold on the new model but it's at least bearable now. The second alt I logged was my baby Gnome banker - no justice point conversion gold for her as she is only a lowbie who's never really left town but as a Gnome, her time is short. 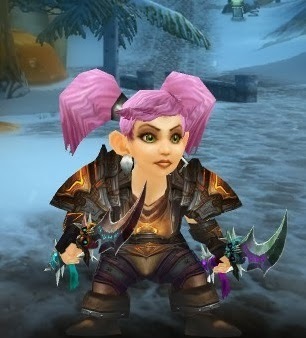 I currently have another lowbie Gnome who is definitely destined for the delete button but most disheartening is my Gnome Rogue - she was my beautiful pink pig tailed girlie and was my 2nd max level toon ever. I'm not going to race change her yet, I'm hoping Blizzard will maybe hear the screams of agony from twitter and the forums about how horrible the new Gnome faces are (I've not seen one good comment yet!) and perhaps they'll revise them a smidge. Hey, a girl can hope, can't she? The third alt I logged was my level 89 Hunter, sitting forlornly in a tent on the Timeless Isle. I'd seen reports on Twitter that a single kill was letting people ding 90 so I gave it a try. Yup! Just one kill and up popped the level 90 Achievement thingy - not bad after her sitting there for months as I ran out of steam to level her any further. Her mailbox had about 700 gold in it from the Justice Point conversion and as she is a Draenai, I didn't feel the need to go and change her face. Once I get her back to town, I might visit the Barber shop, just to see if I prefer a different model but for now, I can live with the new look. So that has been my total gametime so far this week - apart from checking out the Toybox and restacking a few bits in my bank that is. I'm hoping to get a bit more time in game over the weekend now that my jetlag is almost gone and I'll be looking at the Auction House and new possibilities now that so much has changed. If you're still here and reading my sporadic posts, thank you for sticking with me. 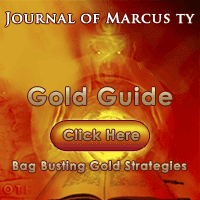 I hope to get back to more regular posting now that we have some new stuff to talk about!